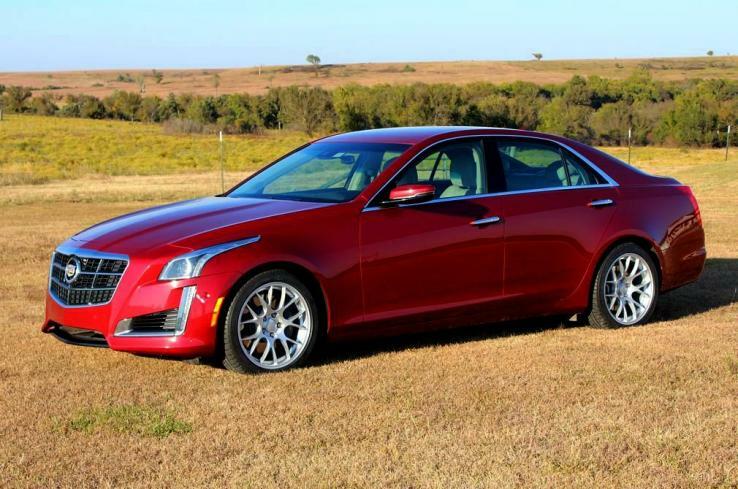 A member in Kansas, United States	 2014 CTS V-Sport with MiRo aftermarket wheels. Ten-Year Veteran	 I prefer the instruments' "balanced" mode. Right dial can also display information at its center. Ten-Year Veteran	 Red-stitched leatherette and carbon fiber trim here as well, plus some synthetic suede. Ten-Year Veteran	 Some unexpected and not necessarily desirable restraint: no red stitching on these. Bolsters adjust. Ten-Year Veteran	 A couple more inches of rear legroom than in the ATS, but still feels tighter than segment average. 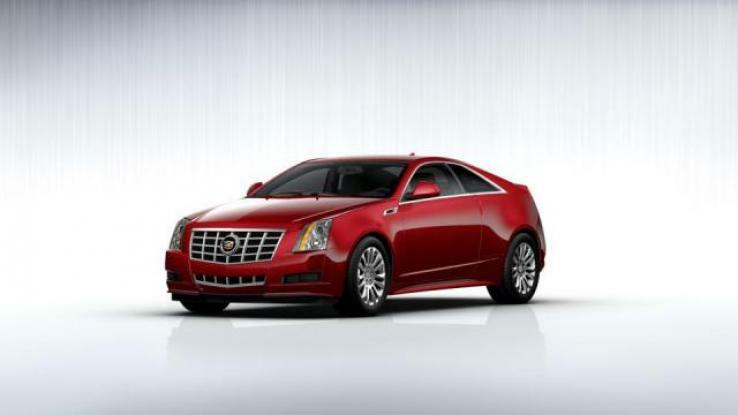 Ten-Year Veteran	 As in the ATS, handling a much higher priority than trunk space when designing the rear suspension. Ten-Year Veteran	 Quick enough for nearly all drivers, but not as quick as the specs suggest it ought to be. Ten-Year Veteran	 Vsport engine packs another 148 horsepower, but can't go toe-to-toe with competitors' turbo V8s. Ten-Year Veteran	 Perforated leatherette with red stitching, real carbon fiber trim with red highlights. Ten-Year Veteran	 The instruments can be configured in four different modes. Sport here. Ten-Year Veteran	 Shock and awe! Sadly, these controls don't work nearly as good as they look. Ten-Year Veteran	 LEDs along leading edge a nice touch. 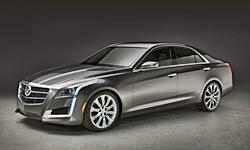 Ten-Year Veteran	 Aside from the headlights, a more restrained design than the first two generations of the CTS. Ten-Year Veteran	 Vsport. Color and wheel choices make a big difference. Ten-Year Veteran	 Rear bodysides appear flat and their edges overly squared off when viewed directly from the side. 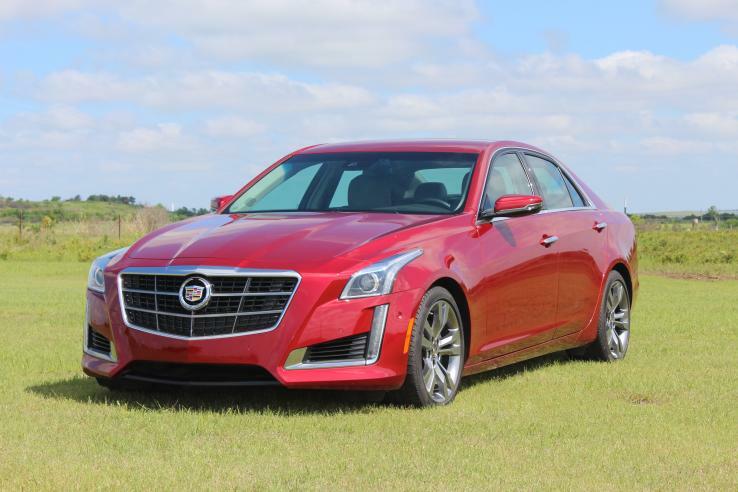 Ten-Year Veteran	 More saturated color, sportier wheels help even more from this angle. Ten-Year Veteran	 It's a Cadillac, so the tail lamps are vertical. I'm not a fan of the Bangled trunk. Ten-Year Veteran	 The Vsport wheels never stop making a difference. Ten-Year Veteran	 Red/black interior adds $1,650. More restrained color options are available. Ten-Year Veteran	 Many lines and elements, but they're artfully integrated. Power cupholder cover to right of shifter. Ten-Year Veteran	 Less bold face, for broader appeal around the world.